Trophies : On5. We make mobile games. Dear friends! It’s been an incredibly busy month for us, working on a few projects that we still can’t shed any light on. Pretty soon we’ll be able to share some details! 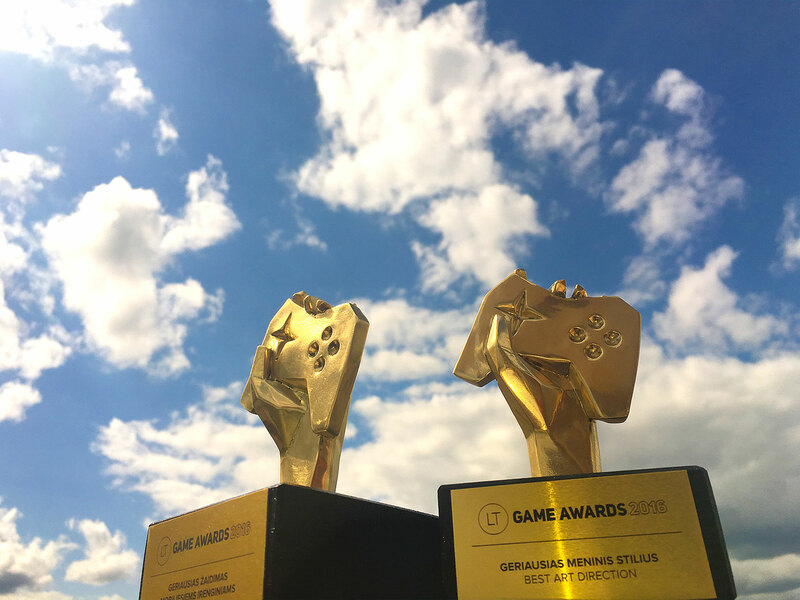 But the main news are: our game “Catomic” was nominated in two categories at Game awards 2016 – as the Best mobile game and Best art style. Competition was tough, other nominees were very good and we didn’t expect much. But guess what – “Catomic” won both prizes! They now sit proudly in our studio, giving us a boost of positivity! Thanks to the judges, LTGA, and all supporters for making it happen!